Hi everyone..As we grow older everyday did we actually imagine where we want to settle down our live at. Are we actually want to stay with our kids until our last breath? 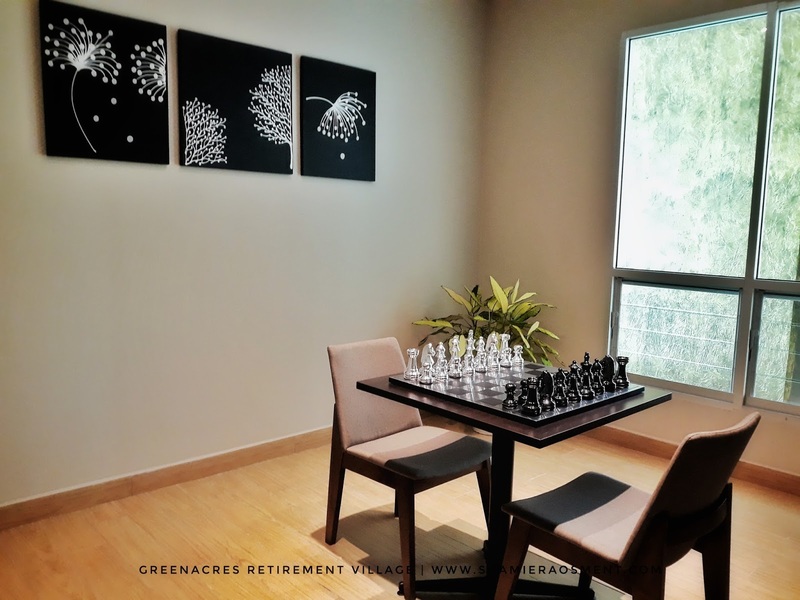 Have you ever considered about a retirement village? When we talk about old folks house everyone will things it is a taboo place for our parents. Everyone have a negative perception about the place and of course with someone who sending their parents there. 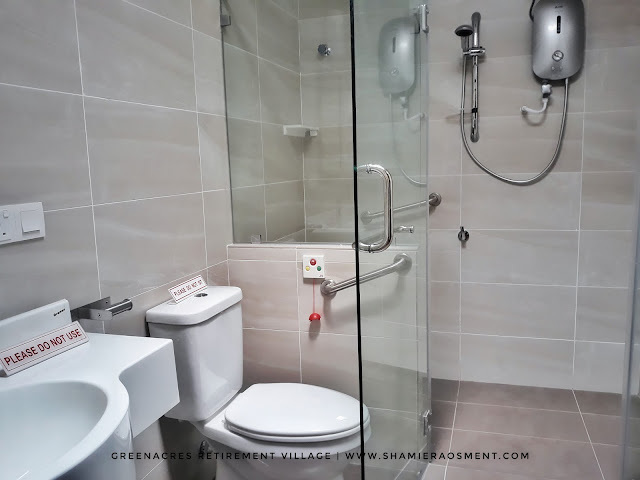 But today I would like to share with you the GreenAcres Retirement Village and it will definitely change your idea and perception off sending out your parents to a retirement house. 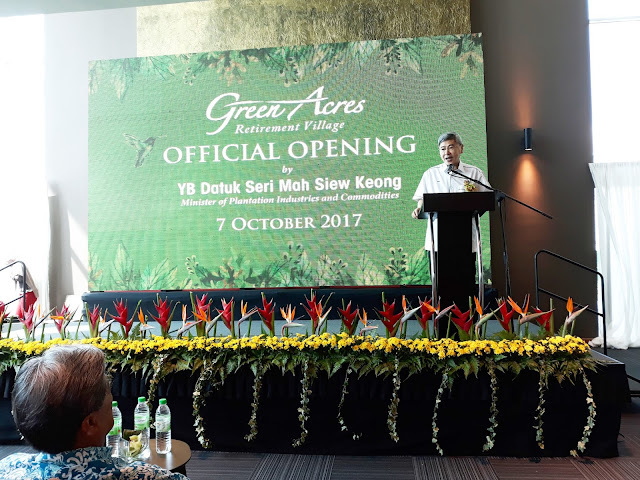 On the 7th October 2017, I witness the opening of the first phase of GreenAcres, Malaysia's premier retirement village by YB Datuk Seri Mah Siew Keong. 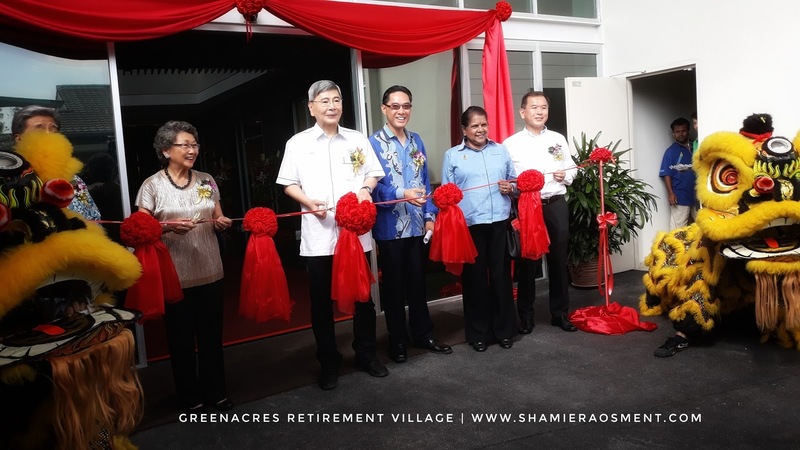 On that day, they also unveiled GreenAcres brand new RM10 million clubhouse with their Executive Director of Total Investment Sdn Bhd, Mr John Chong and founder of GreenAcres, Madam Yin Leng. 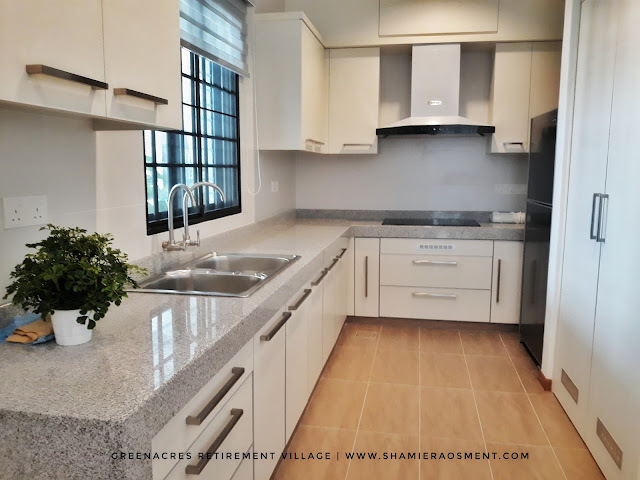 The first phase of the RM100 million (gross development value) GreenAcres project comprise the first 26 units of resident-ready single-storey landed villas with lush linear gardens that comes with walking paths, gazebos,water features and flourishing greens throughout. "For their vision, I would like to applaud Total Investment for taking a leap of faith towards transforming the retirement landscape in our country. 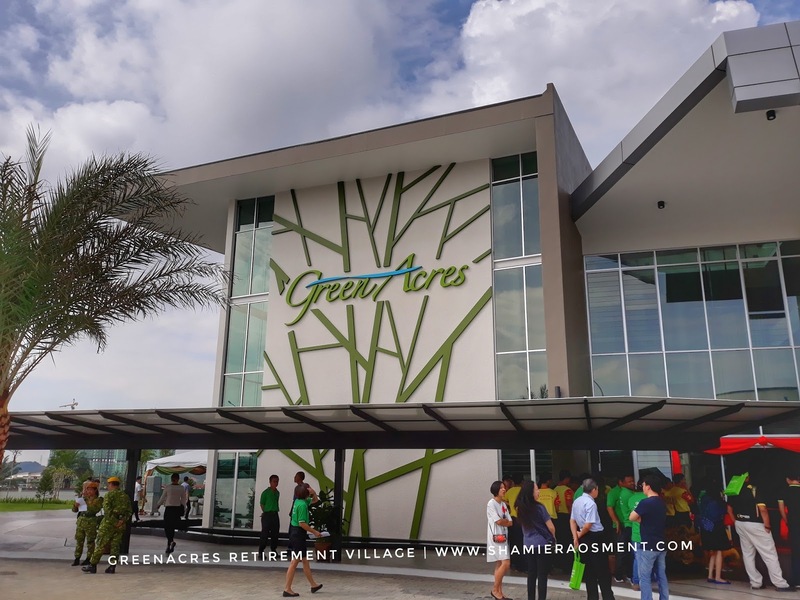 The launch of GreenAcres is the start of the retirement services that prioritises the needs and sustainable lifestyles of the silver set within the country, and effectively relinquishes the stigma of "old age" and "old folks home". said Datuk Seri Mah Siew Keong. John Chong, Executive Director of Total investment said that he was delighted to have the support of the first-residents within the homes. " 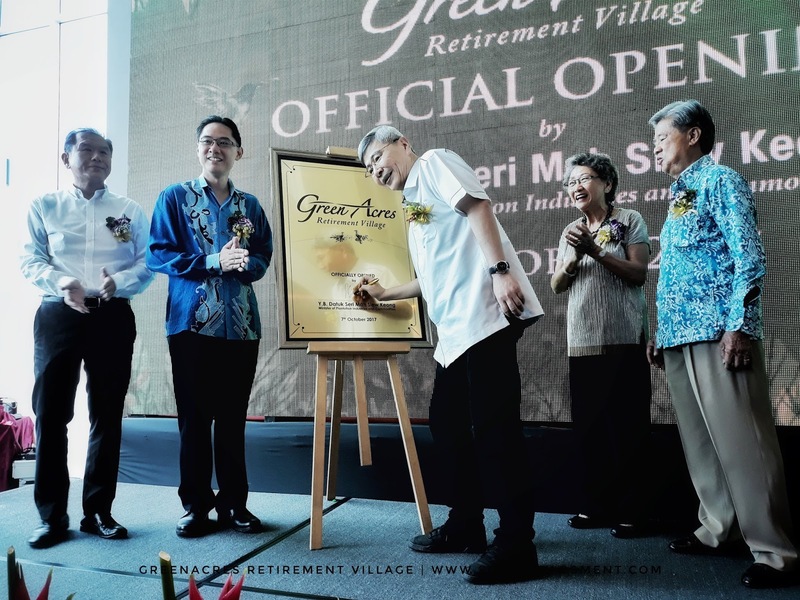 The first phase villas include new residents which comprise people from Malaysia, Hong Kong and Canada. We are receiving great interest from residents from all over the world who would like to retire gracefully and comfortably in Ipoh and we are confident that with the official opening of GreenAcres, we will be able to attract even more interest" he said. 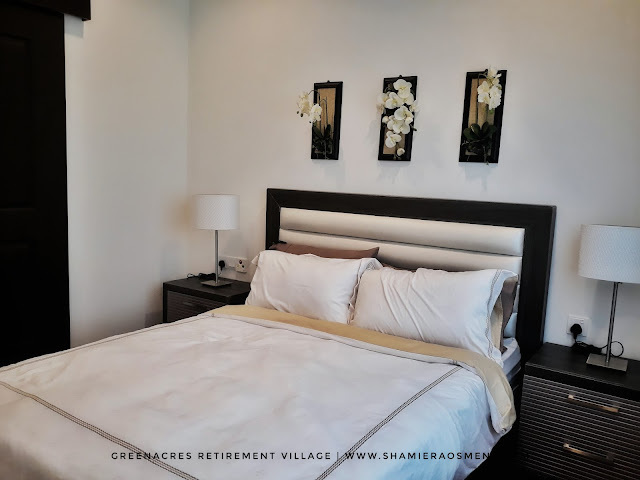 The villa homes are designed to be age-friendly, and are available in six layouts ranging from 734 sq ft to 1,105 sq ft in size. 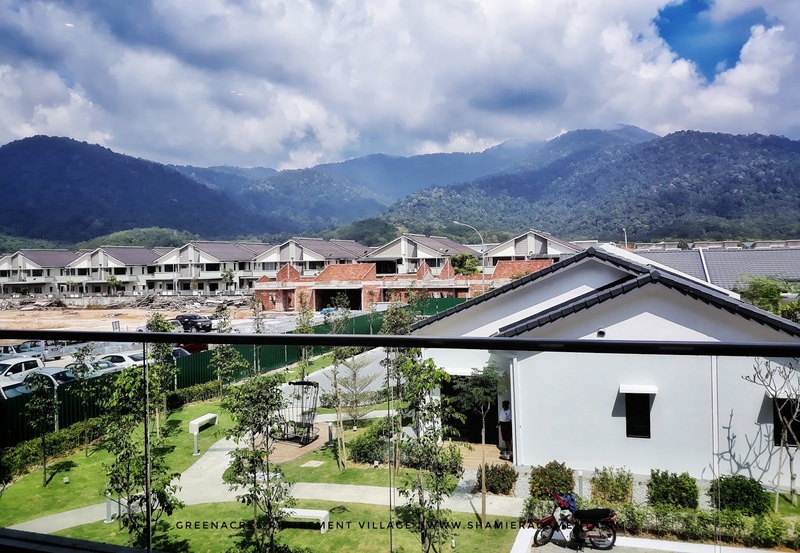 The homes are taken up using a novel lease deposit structure with amounts starting from RM300,000. And this lease are fully-refundable once the resident leave the village. And it makes this a great investment actually for residents. The units also come equipped with lights, fans, air-conditioning, grilles, mosquito netting, built-in cabinets and alarm systems for the convenience of the residents. Emergency call buttons are placed in living room, the bathrooms as well as the bedrooms and are connected to a round-the-clock central monitoring system placed in the guardhouse and the clubhouse. The residents need only to depress the red button to obtain assistance from the Response Team. So, it definitely secure and safer for the residents right. 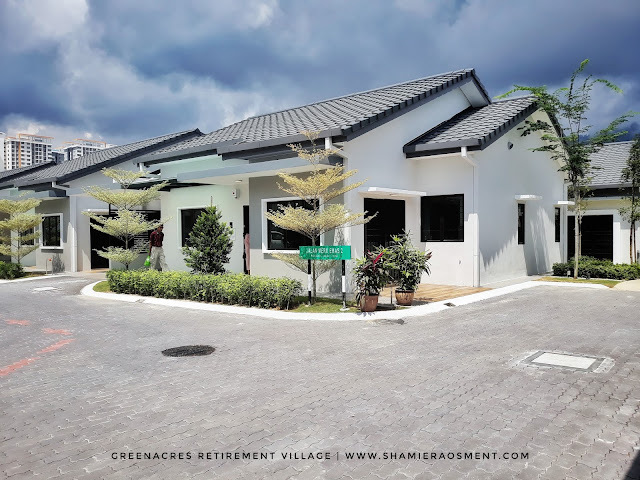 The anchors of this village is the RM10 million clubhouse that spans 30,000 sq ft and will be the favorite place for the residents. The main hall seats to up to 200 people on table and is modular to fit both small and medium sized events. 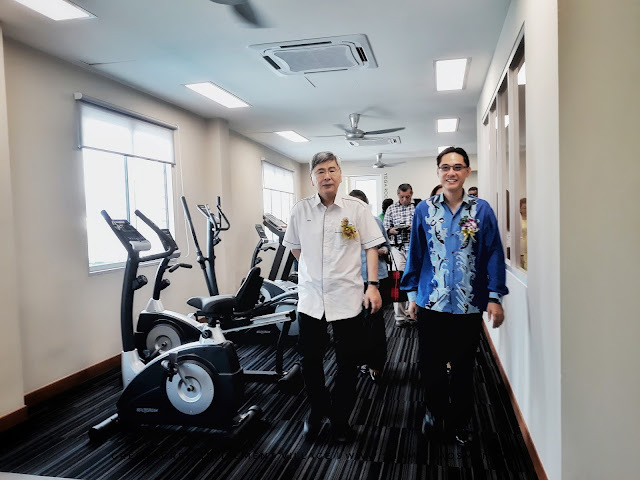 There is many facilities clubhouse that will make your day happier everyday such as the gym, games room, karaoke rooms, a TV lounge, a reading room, mini-cinema for screenings and etc. A cafe and dining area is also in the works for the Clubhouse. Datuk Seri Mah Siew Keong during the clubhouse tour. 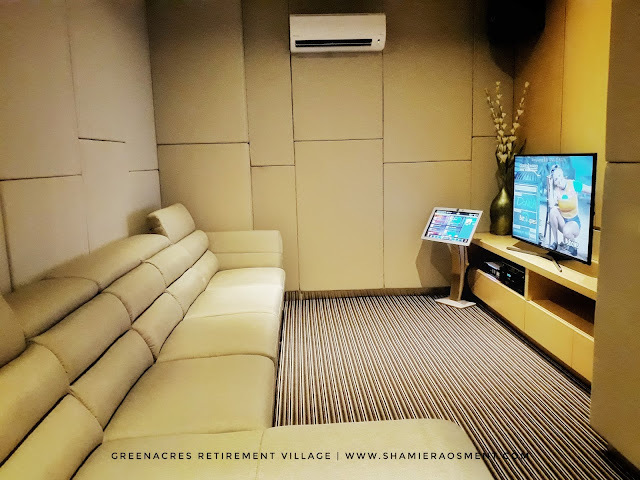 Apart from it the community management team organizes regular on site age-friendly activities that support a healthy,active and social lifestyle such as movie night, karaoke evenings, senior zumba,yoga, tai chi and health talks. The fun will never stop for the residents and everyone will more happier to stay here right? When some said life begins at 40, GreenAcres put it to 60 years old. For me it definitely makes sense about it, cause at the age 60 most of us will start to settled down and that is the retirement age. Most company especially the government sector puts the limit of 60 for someone to work. 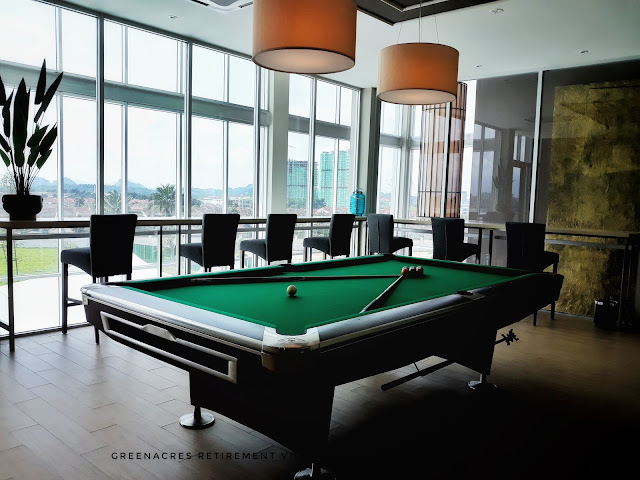 Therefore, at the age of 60 your life should be begin but more enjoyful and after a visit to the GreenAcres I think this place are good to live at the age of 60. The green surroundings and peaceful environment is the number one reason for me to love this place. 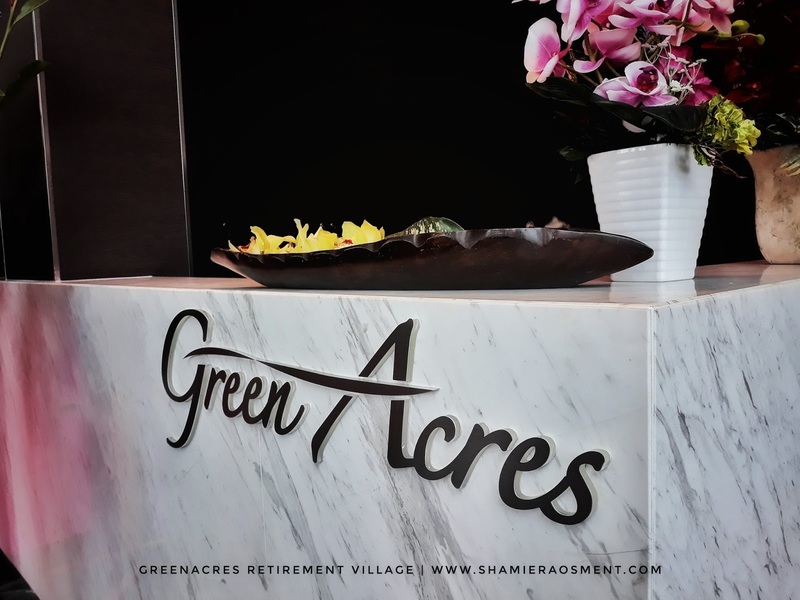 After a tired life hectic for the past 40 years, someone must want to be in a peaceful and calming place and GreenAcres have it. 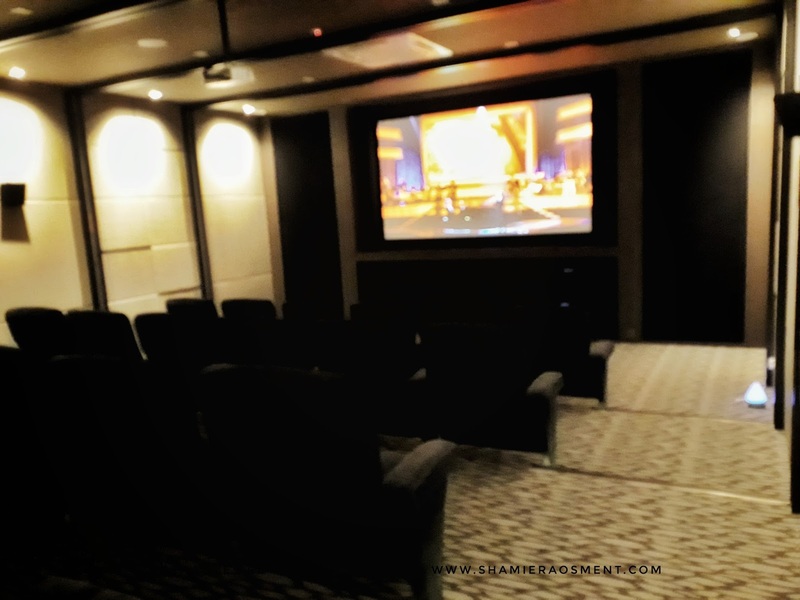 But still if you love socializing and enjoyment, the clubhouse can facilitate it for you. The music and games are there to be enjoy. Who doesnt love that right? 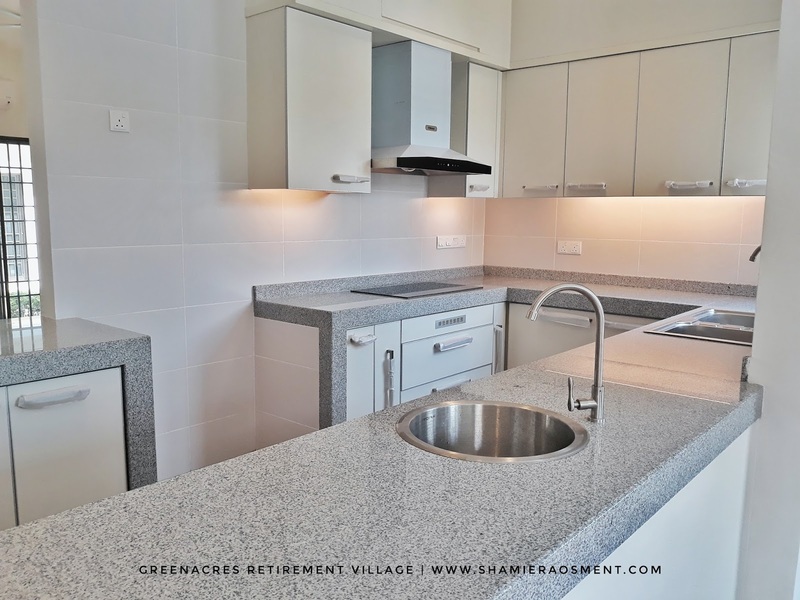 GreenAcres also a great investment for residents. You can live in a great environment, beautiful house without losing any money. You can always have your money back and it is good for your children in the future. Maybe if I had money someday, I'll be check in here too. Its good place to live, cause you will have friends to laugh and share your toughts. You will feel more healthier living in vibrant place like this cause there will always someone to care about you everyday. Yup all the facilities is great to have at your house..
Hihihi..ipoh tak jauh dr KL pon tau..
Kan? Bagus utk semua yg bakal tinggal di sini..
A'ah..seronok kan kalo dpt kemudahan camni dekat tempat kita..
bestnya dapat bersara dengan rumah macam ni..
Semoga kita semua mampu hidup selesa camni bila bersara nanti..
Wow..that is pretty much comfortable and looks very relaxing. A good place to retire to. Yup, such a good place to relax and retire..
Cantik sgt kan..suka dengan rumah yg simple camni..
Nice place..Semua ada..Suka environement nya..
Yup good environment..sgt hijau n tenang..
Marvel's Spider Man is Back!